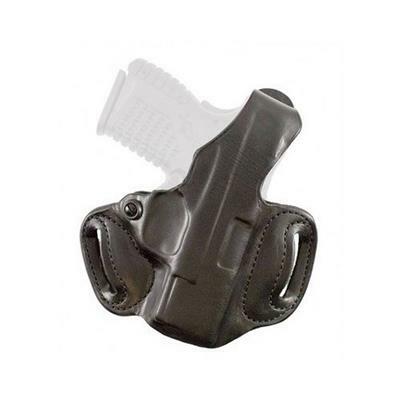 Premium saddle leather, double seams and a highly detailed molded fit, make this exposed muzzle, tight fitting, two-slot holster a great choice for your favorite pistol. It features an adjustable-tension device. Belt slots are 1 3/4" wide.